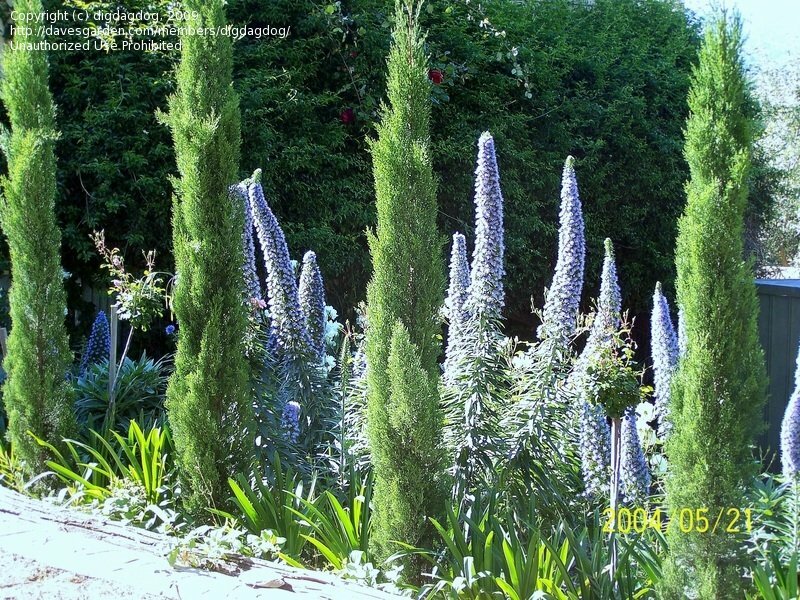 March 27, 2004 - Two weeks since the last image was taken, now blooming. 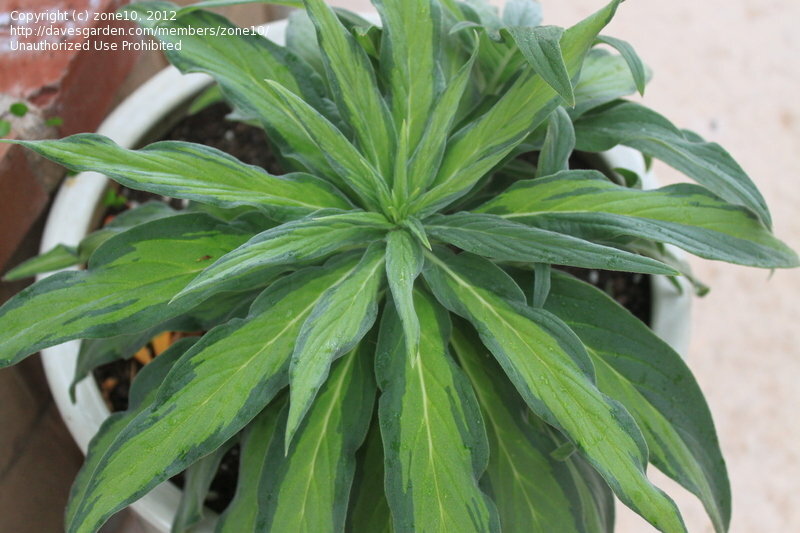 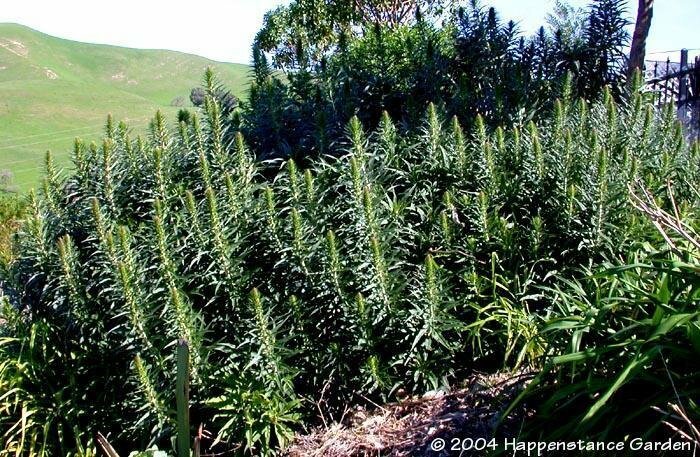 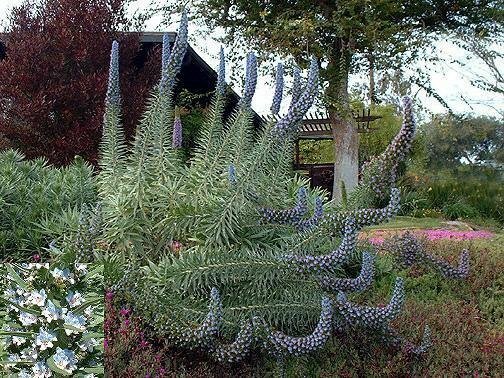 This is ONE plant. 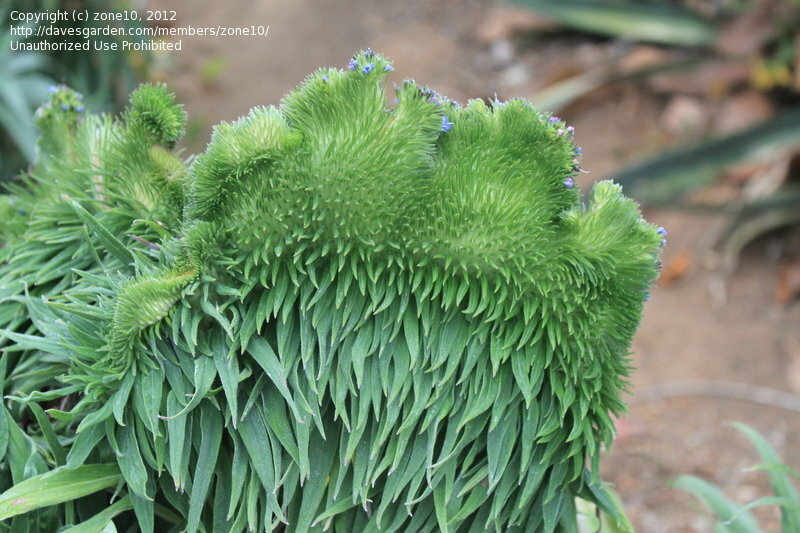 Flowers open from the bottom to the top. 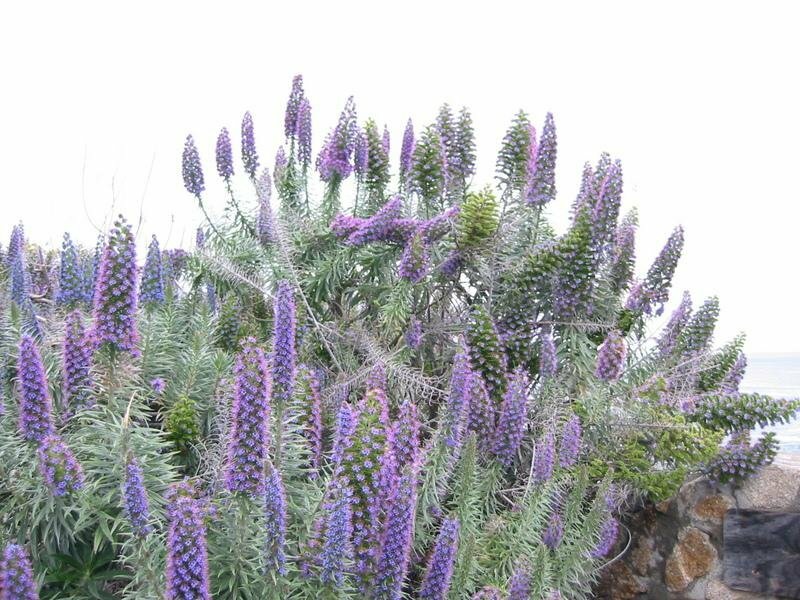 On a sunny hillslope, well drained clay soil in temperite South Australia. 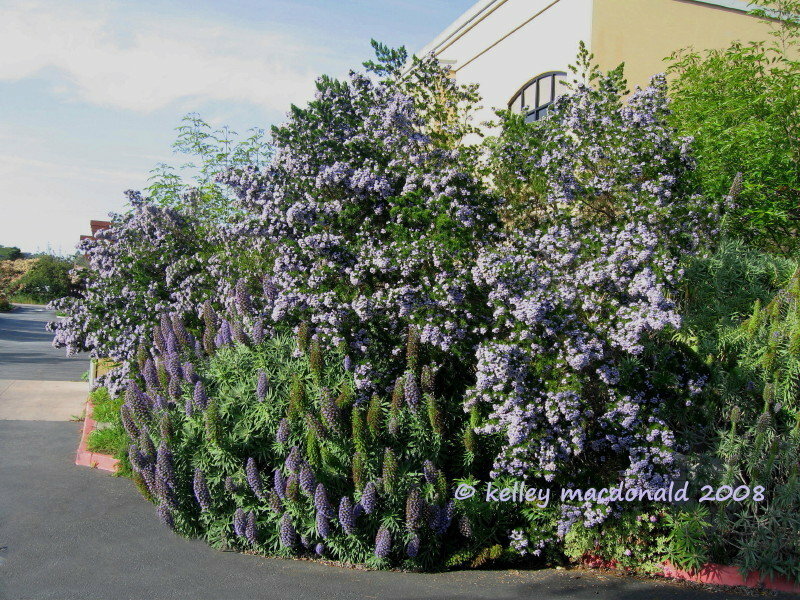 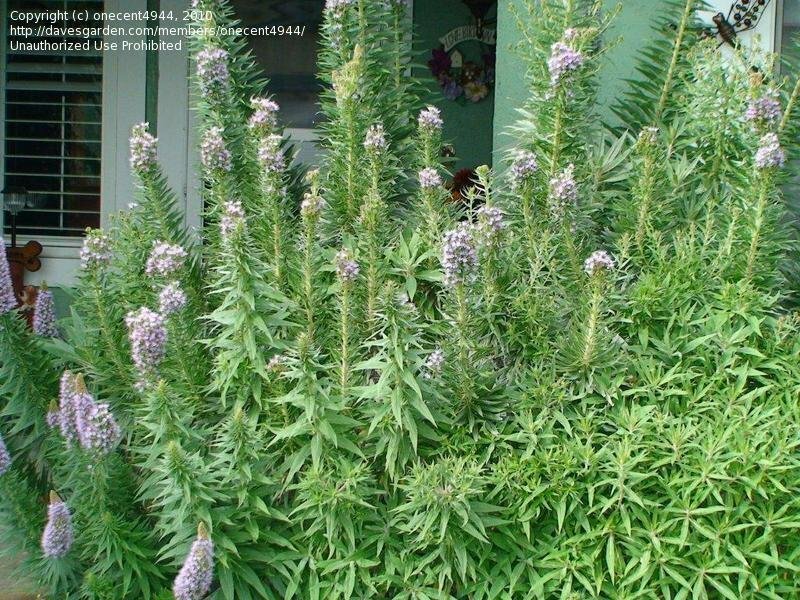 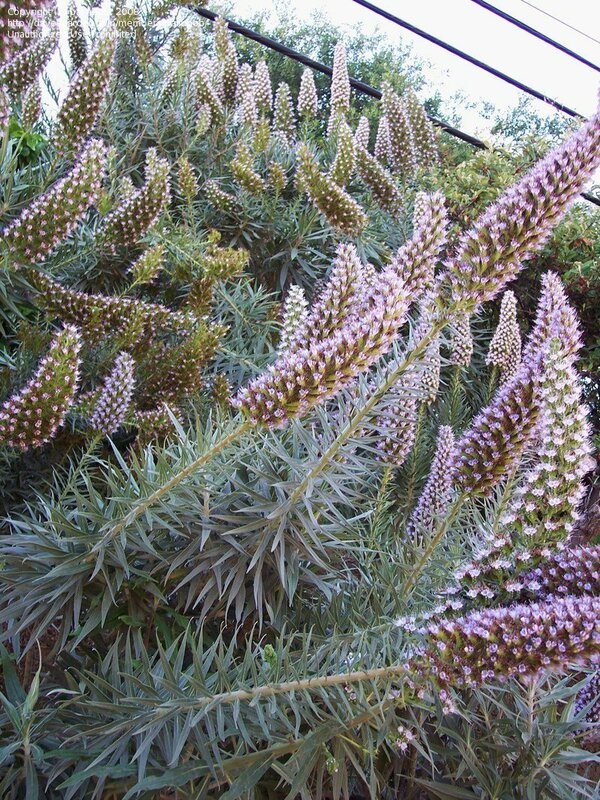 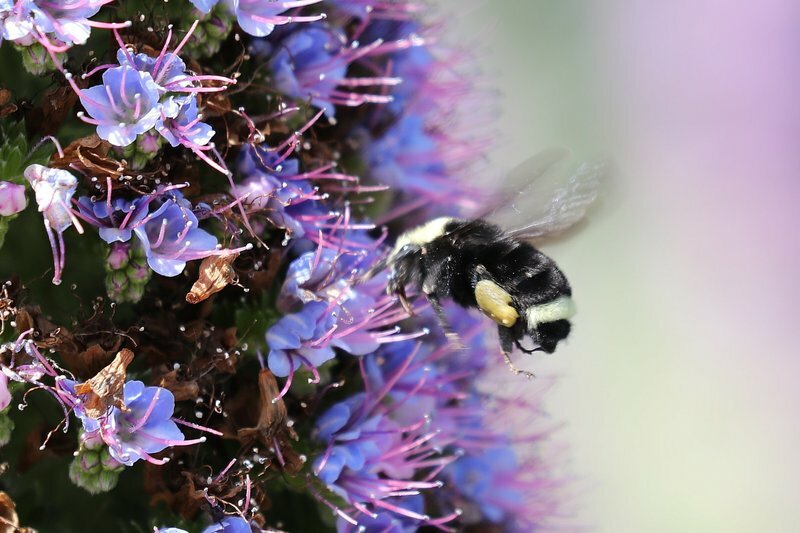 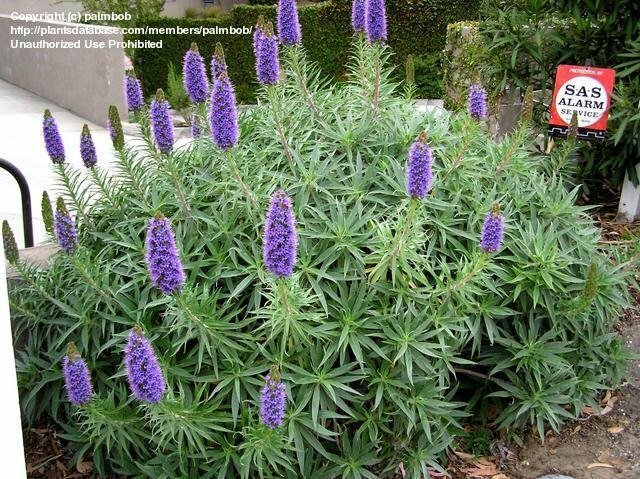 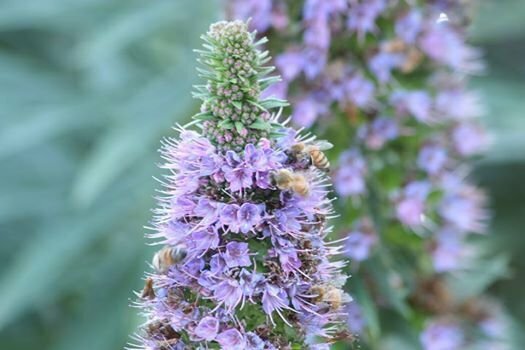 An exotic, uncomplicated, perfect companion plant. 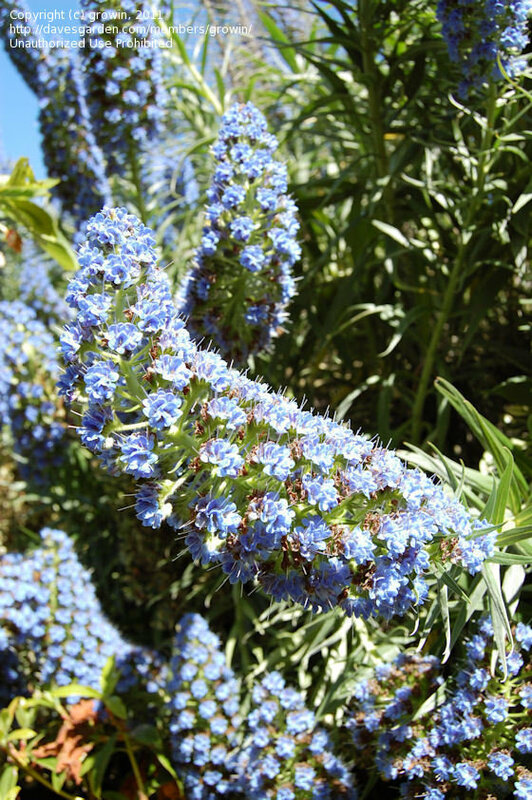 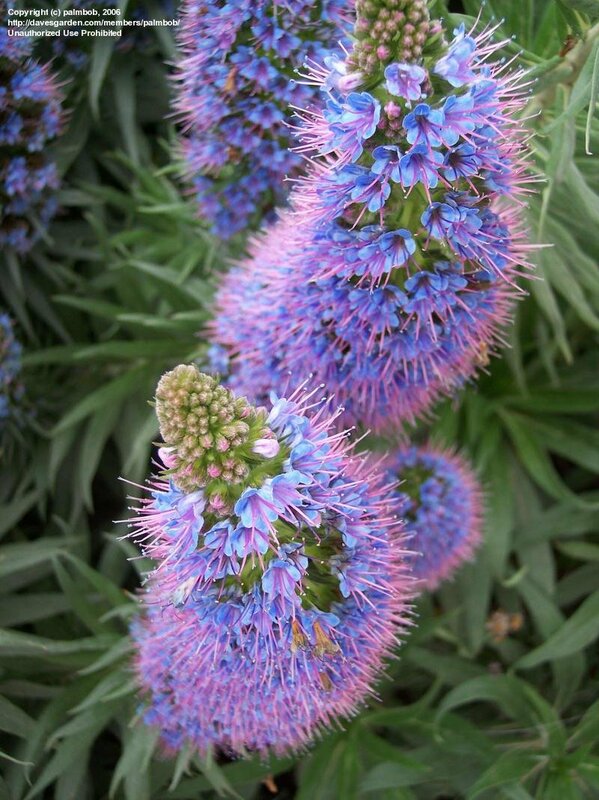 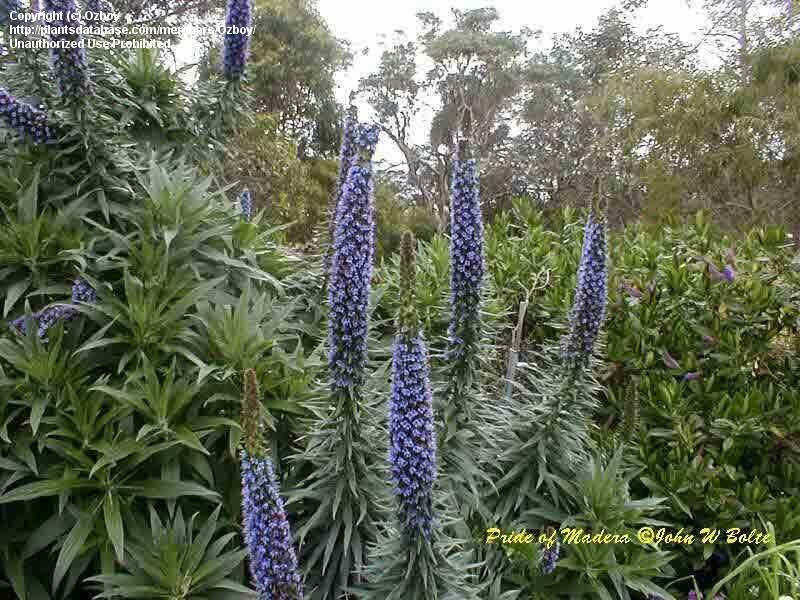 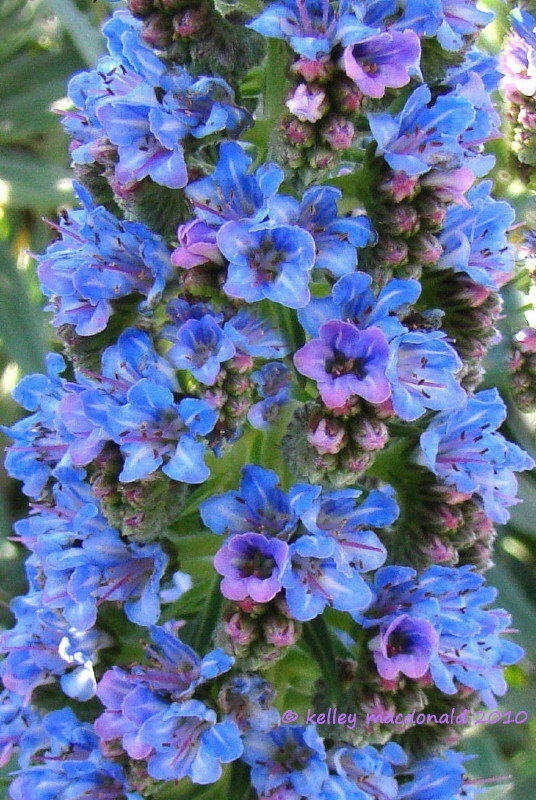 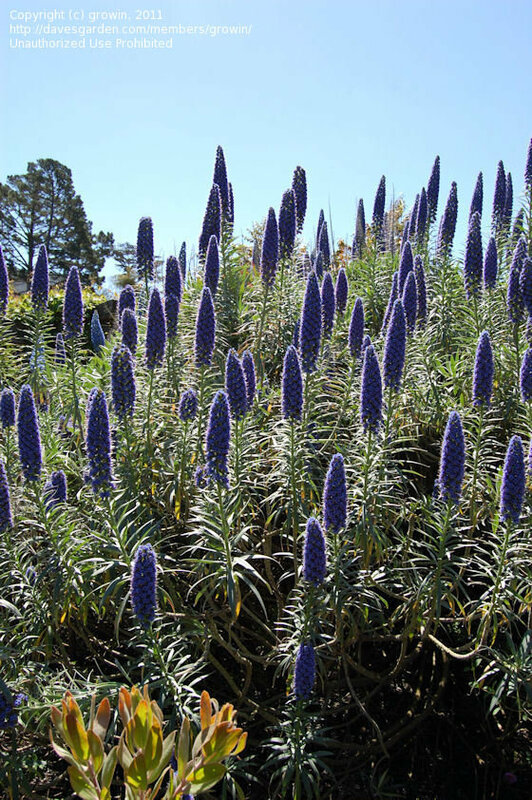 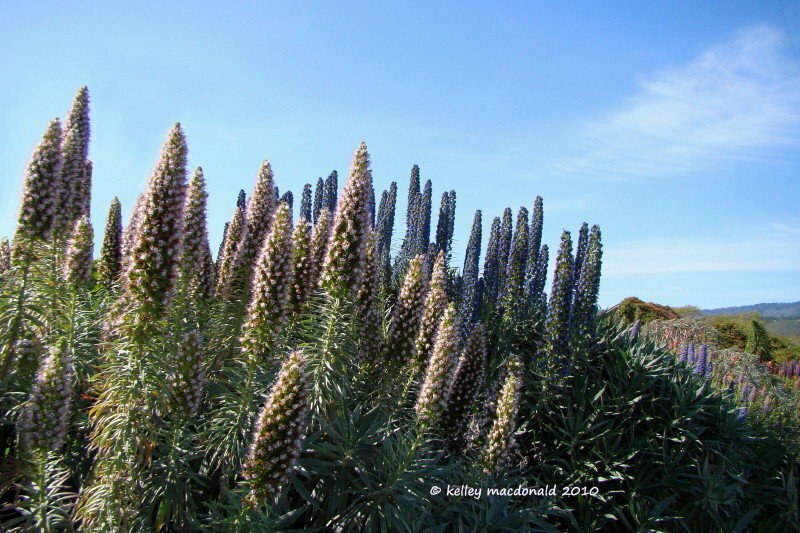 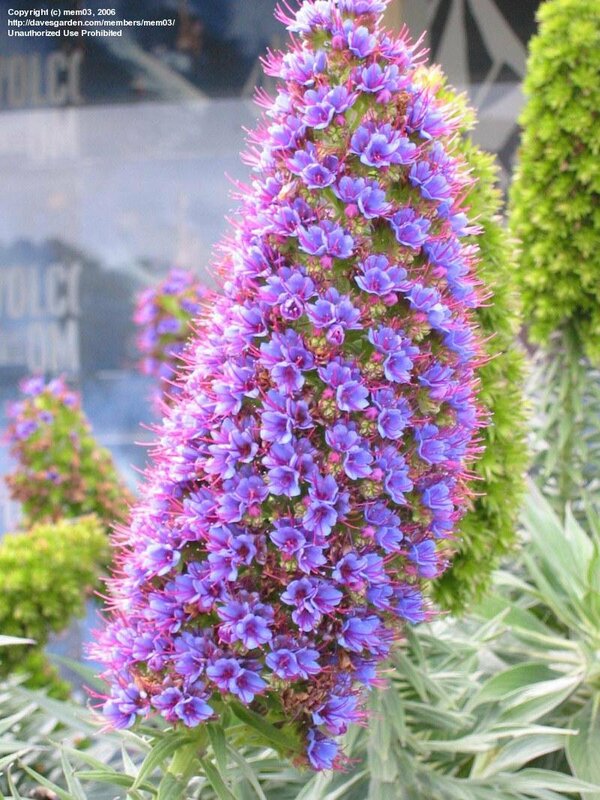 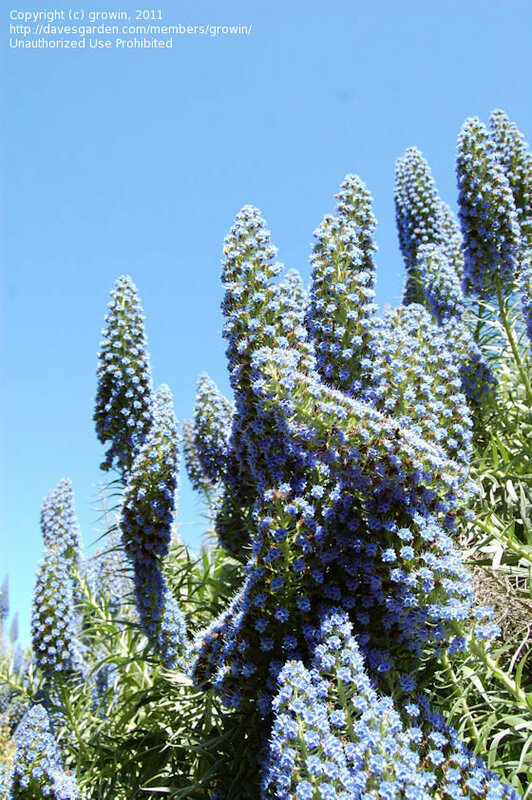 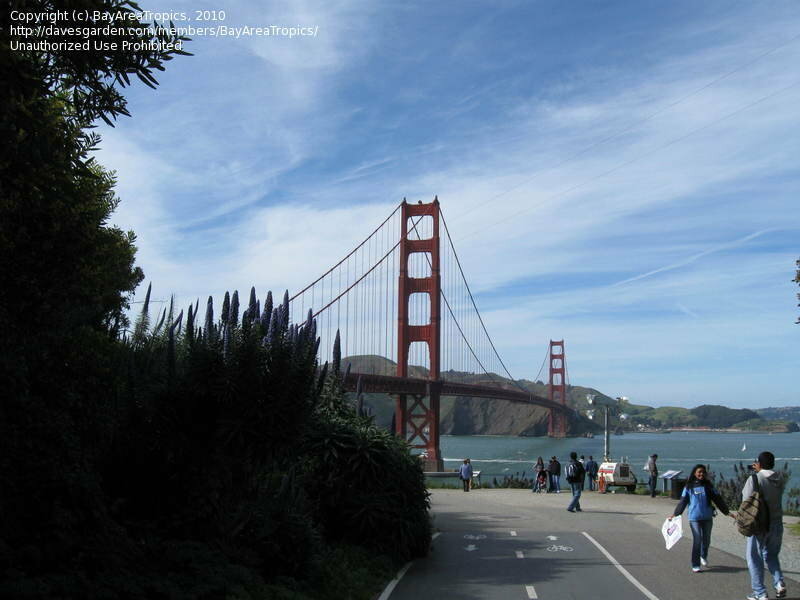 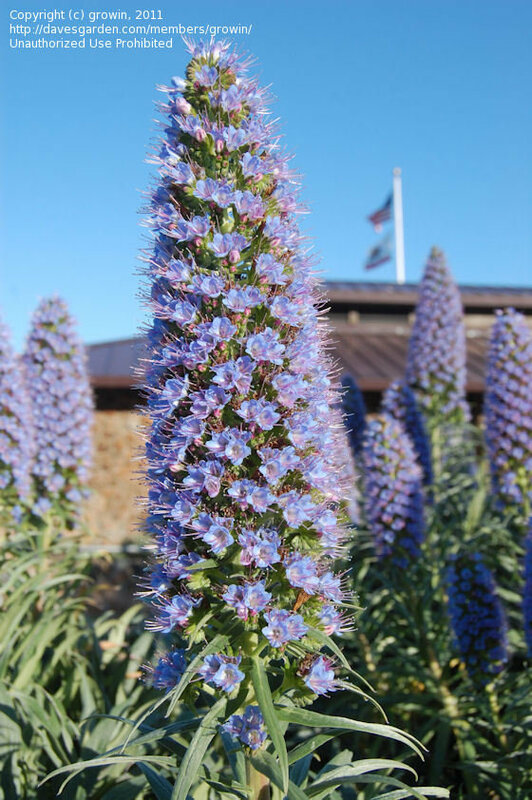 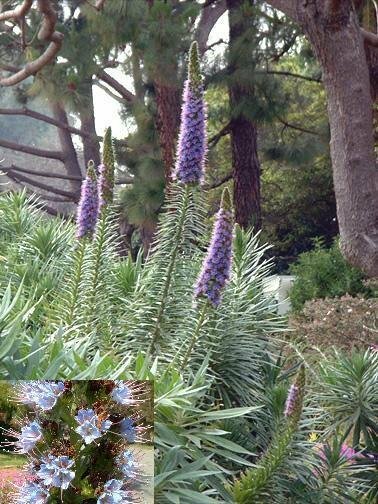 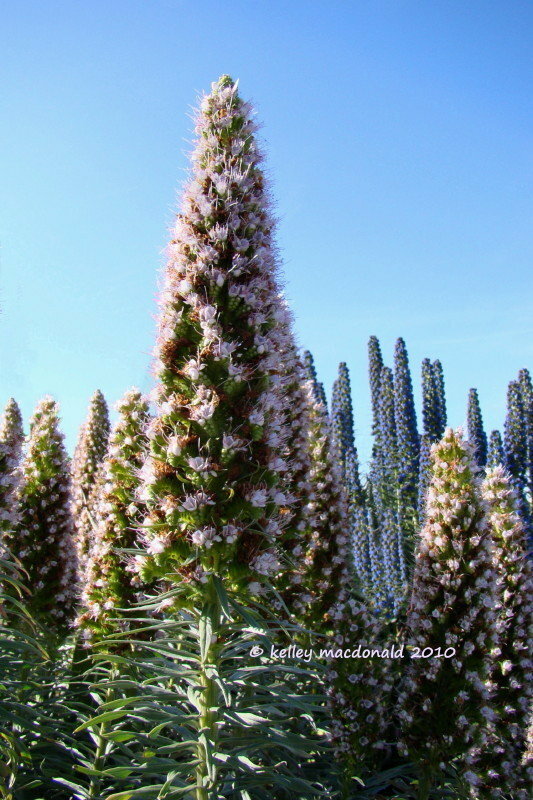 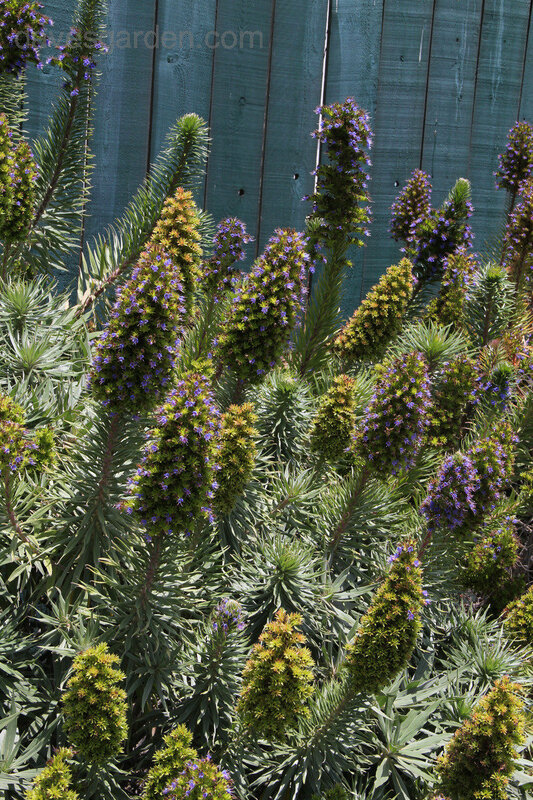 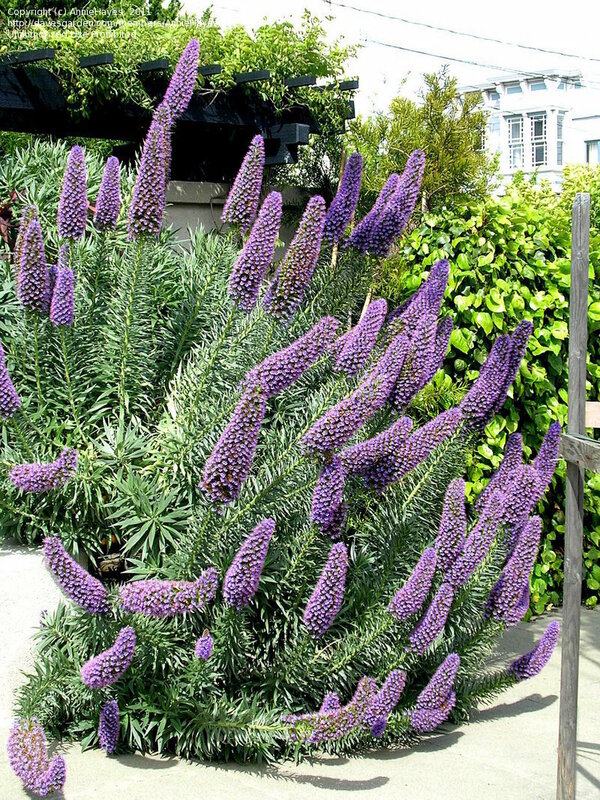 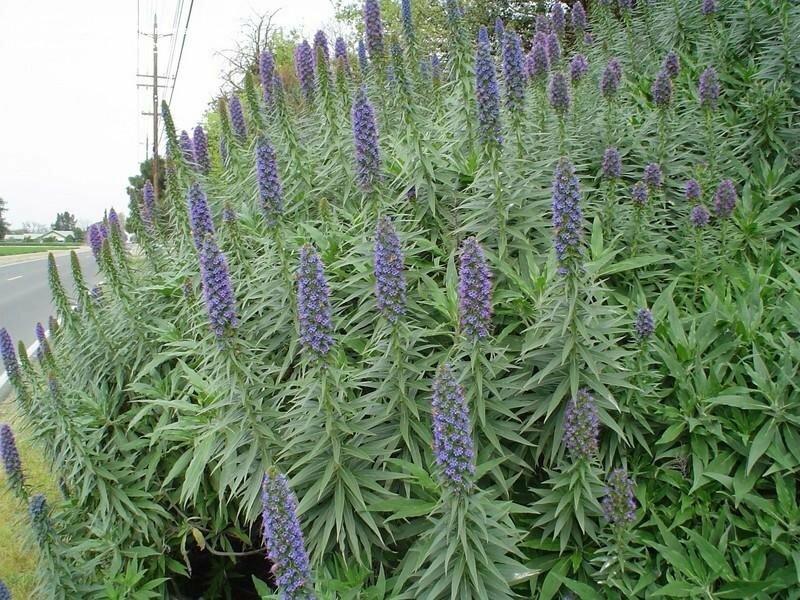 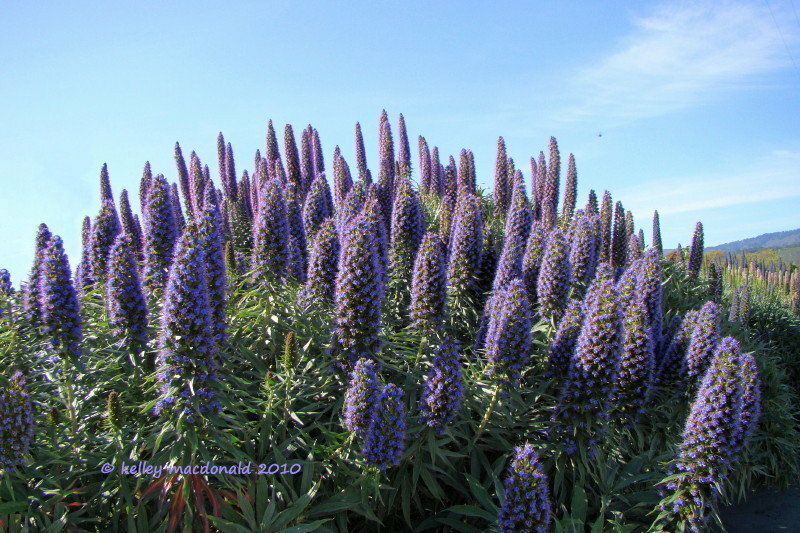 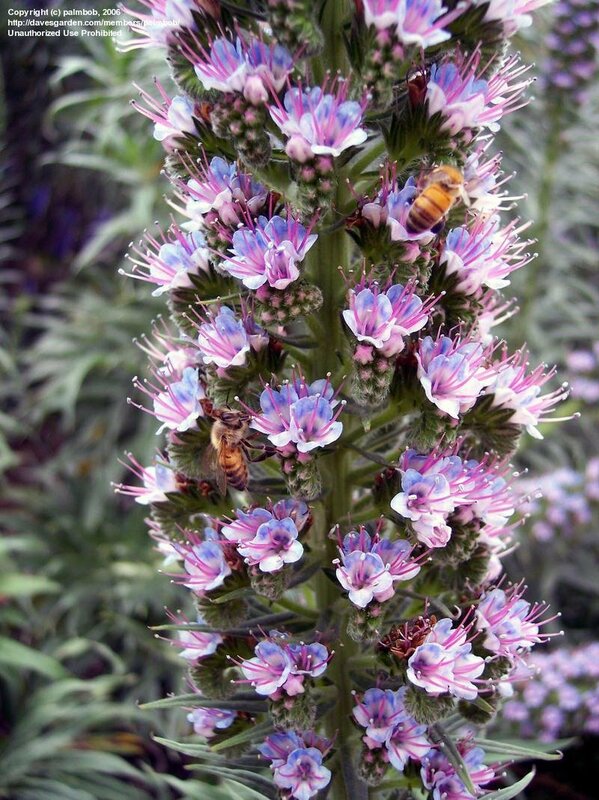 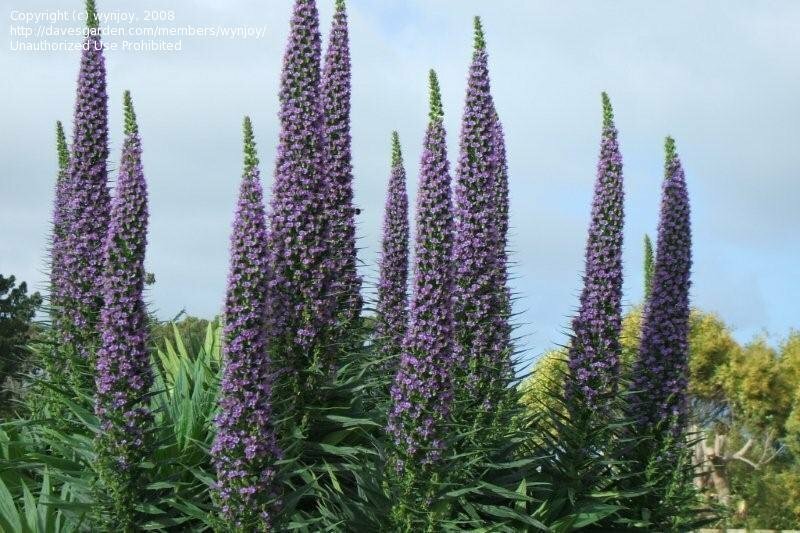 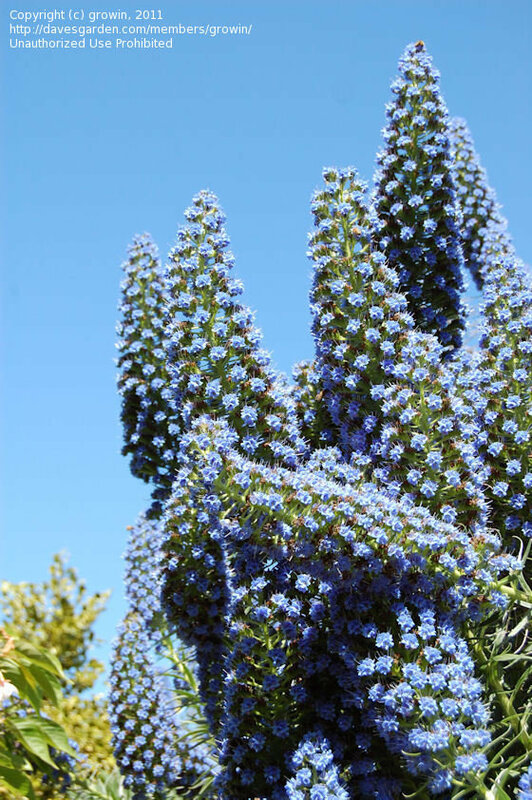 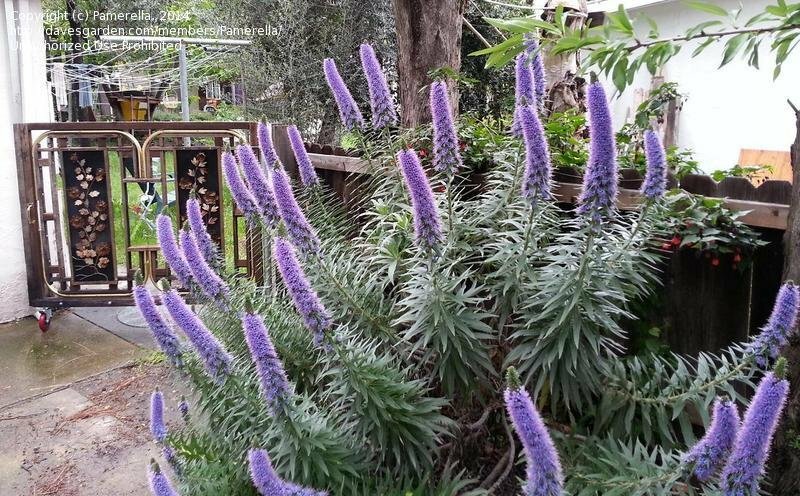 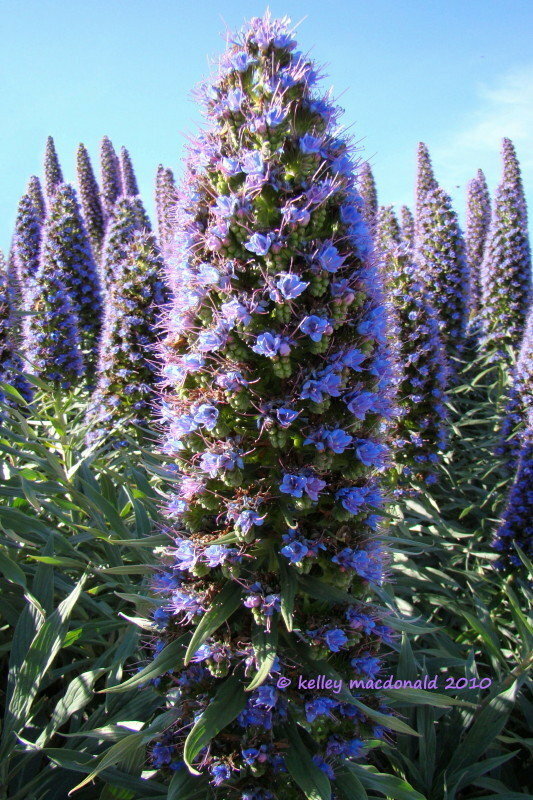 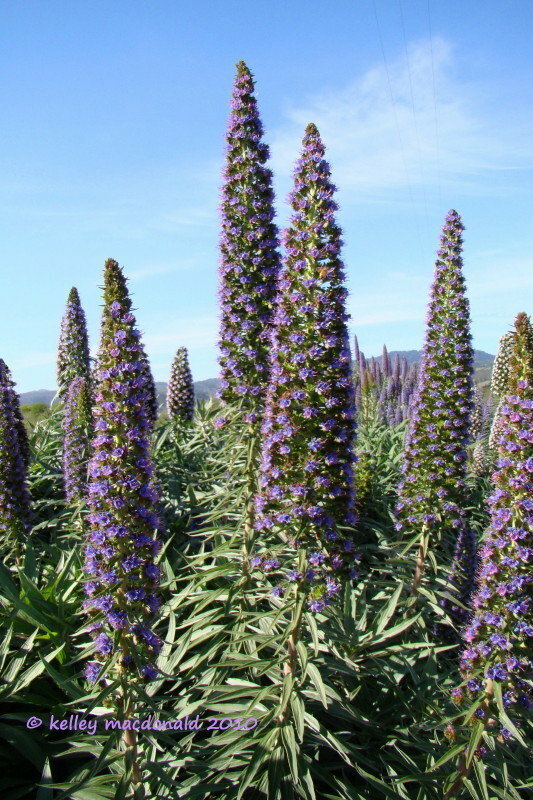 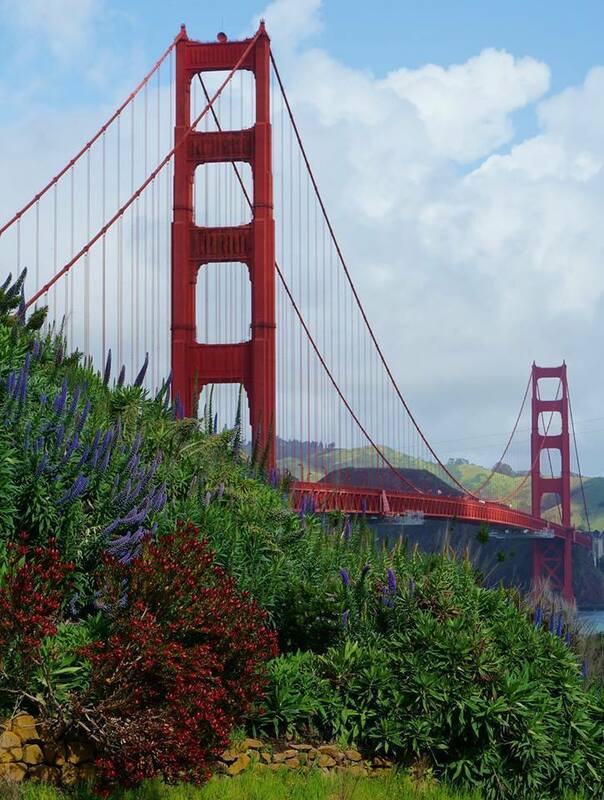 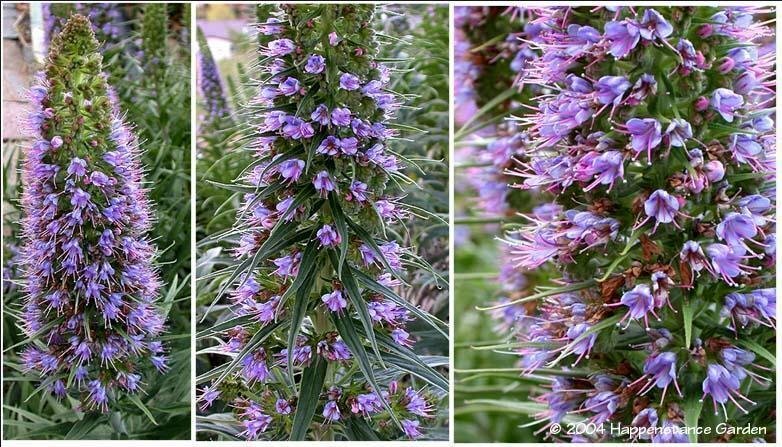 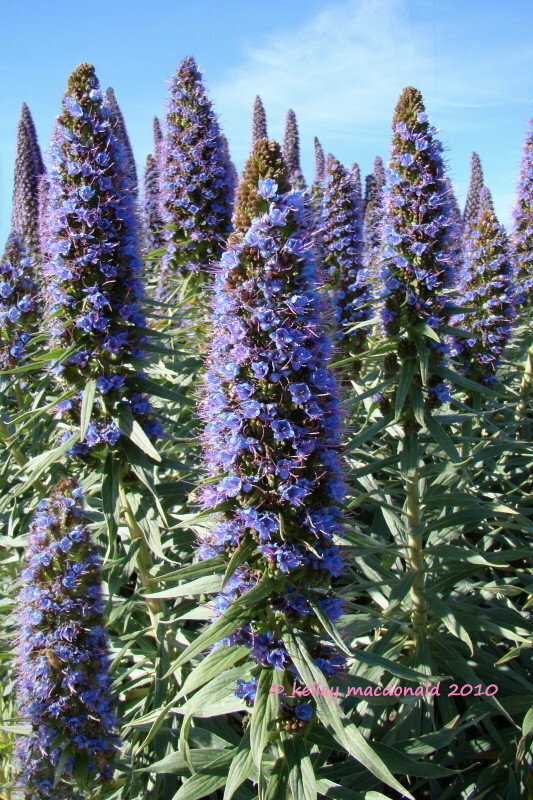 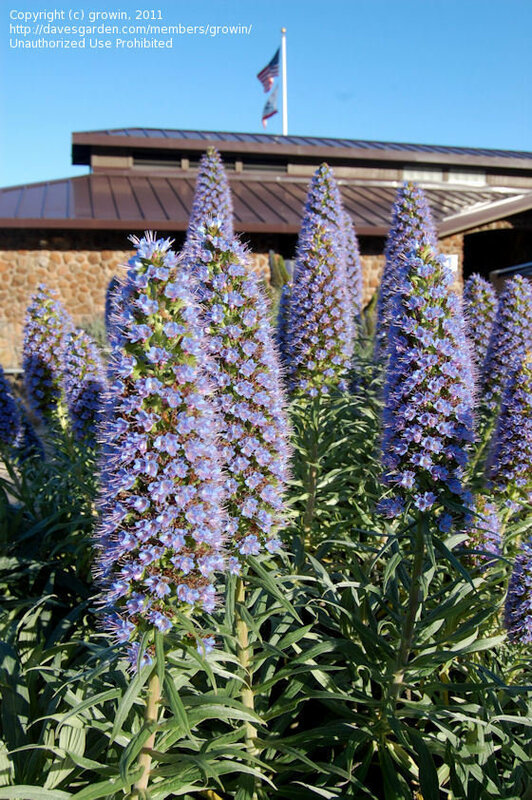 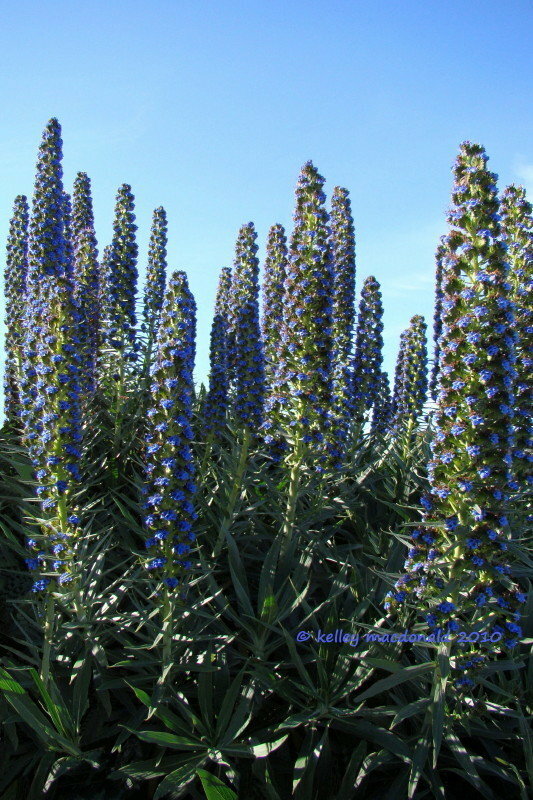 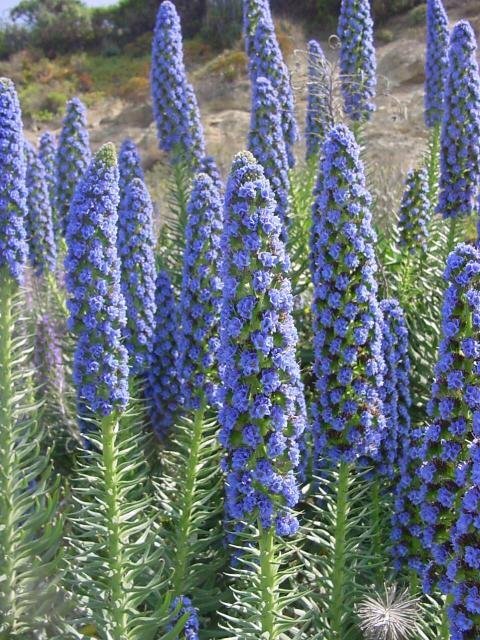 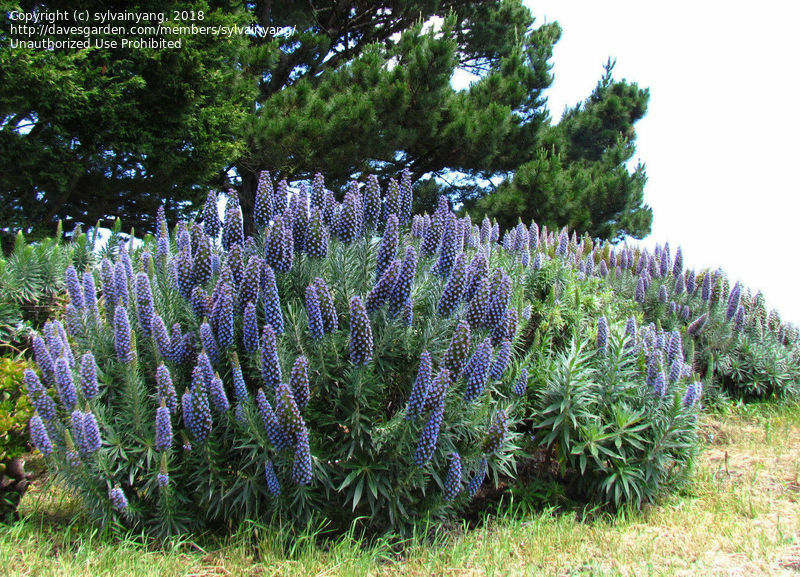 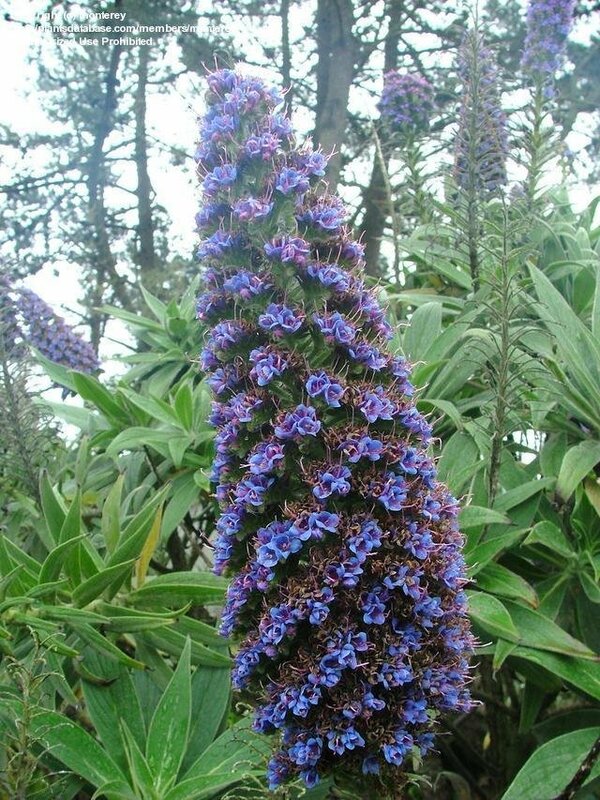 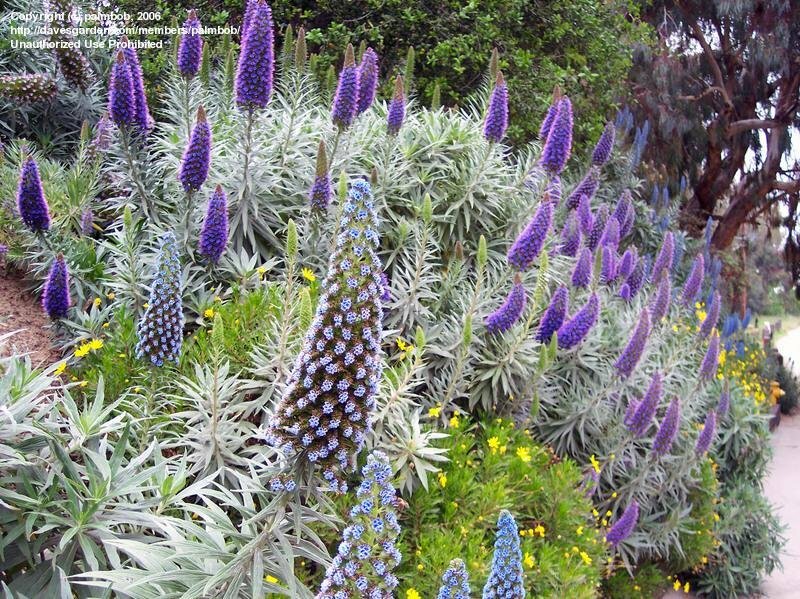 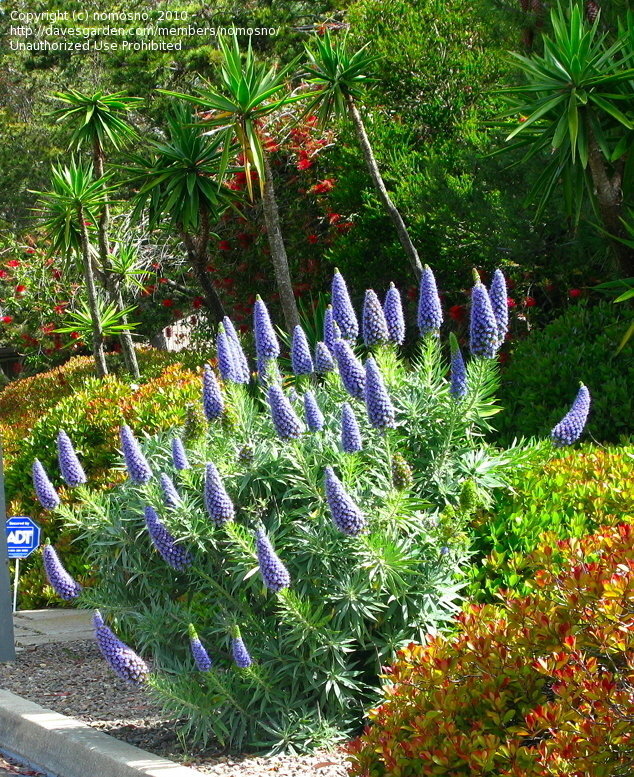 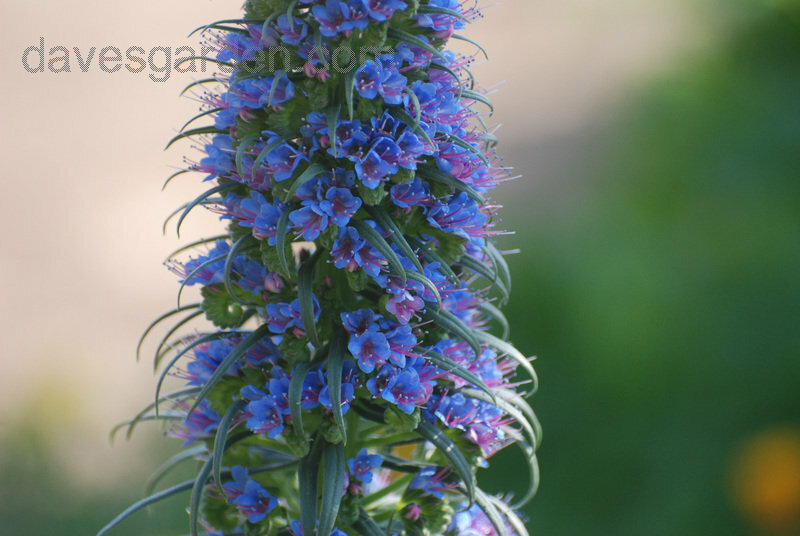 Echiums growing in the windswept shadow of The Golden Gate Bridge. 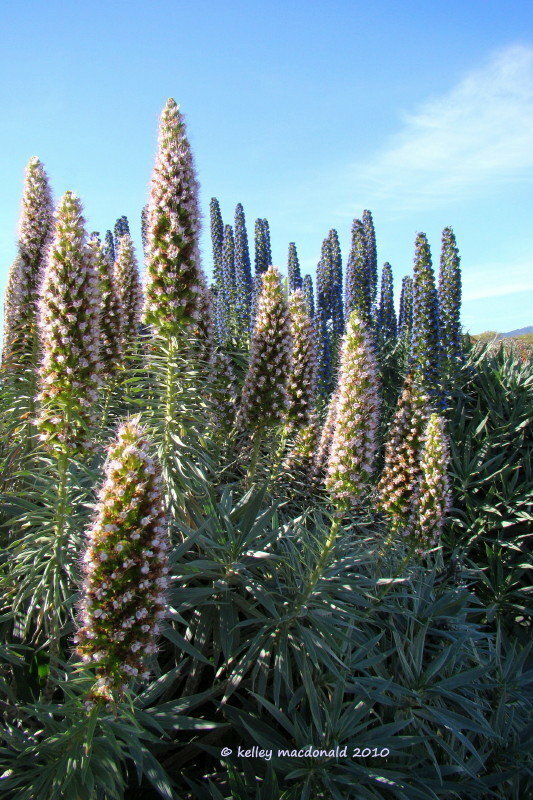 With Psoralea pinnata. 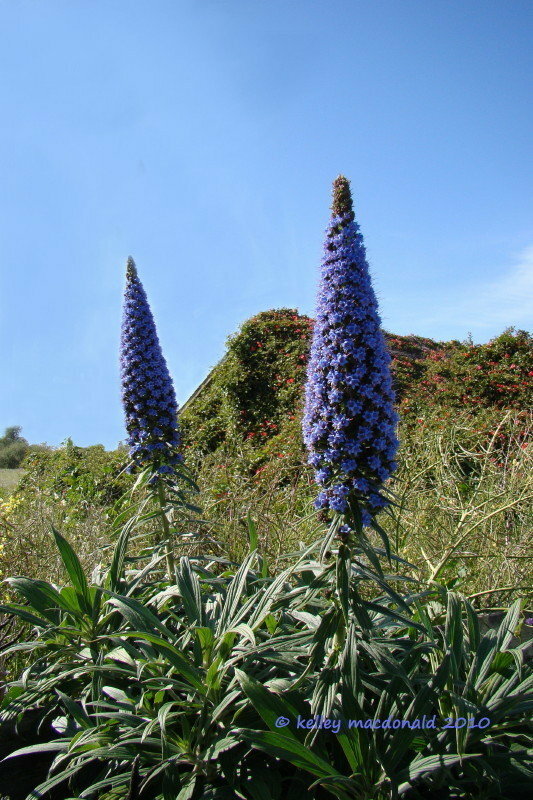 In Santa Cruz. 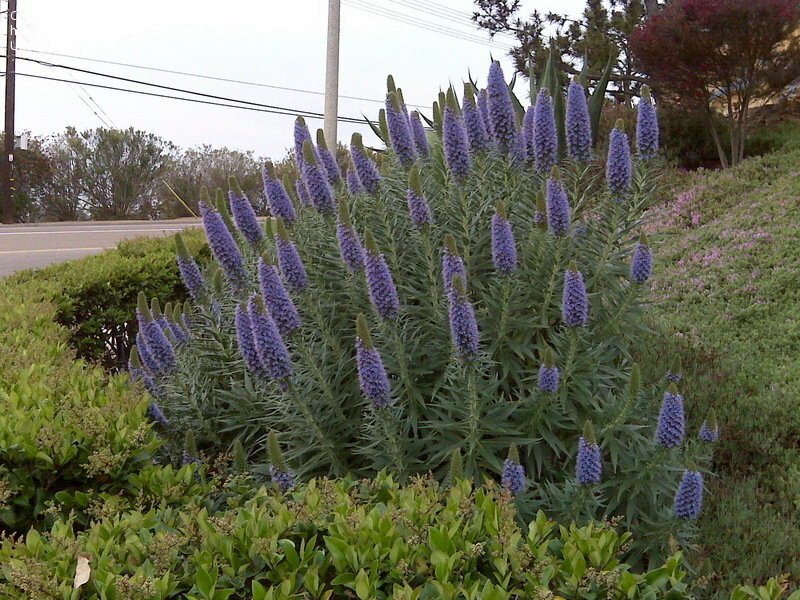 In Santa Cruz. 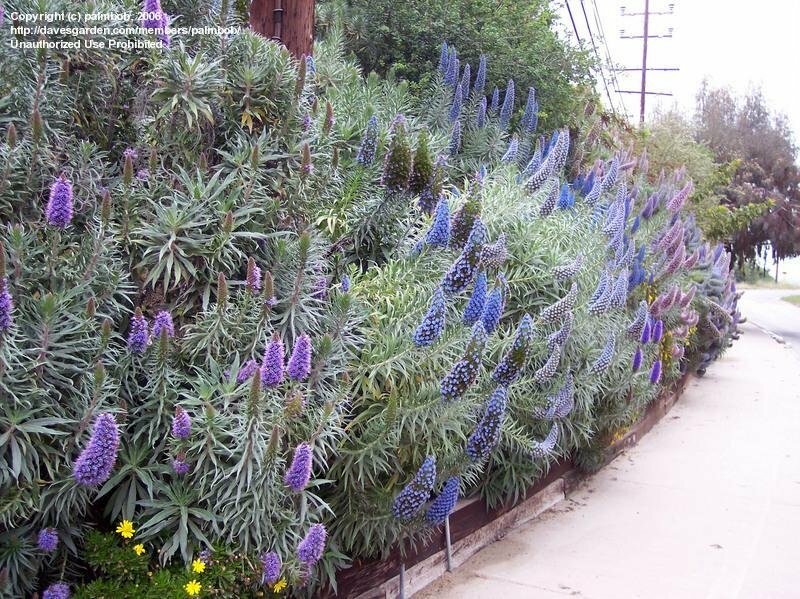 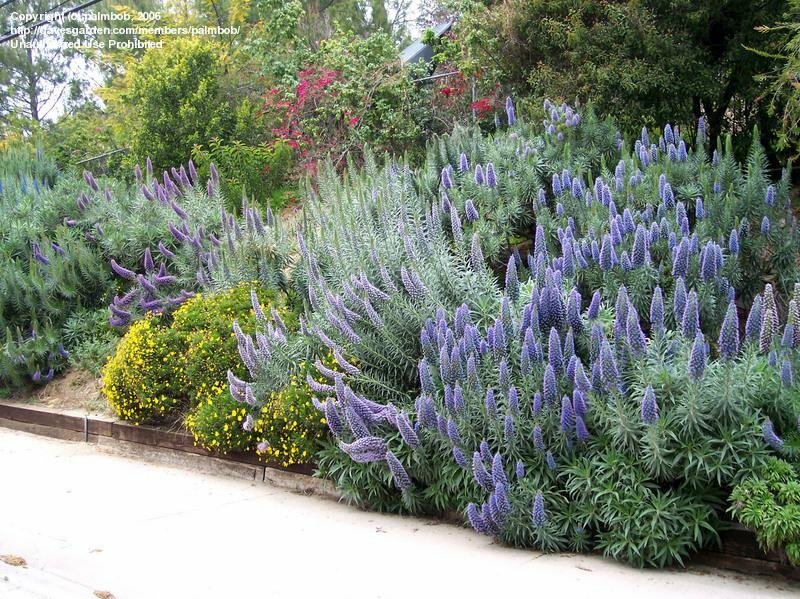 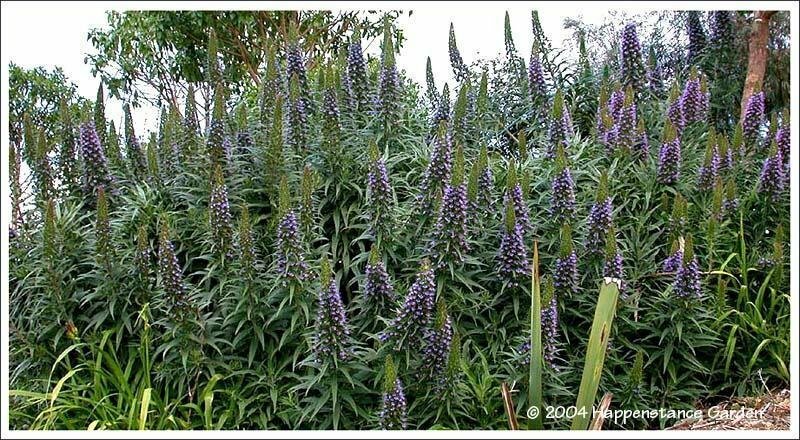 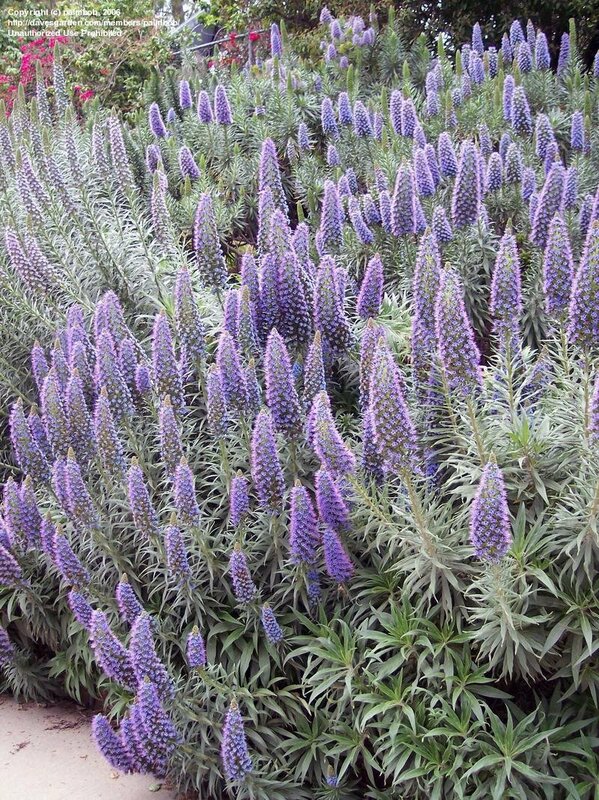 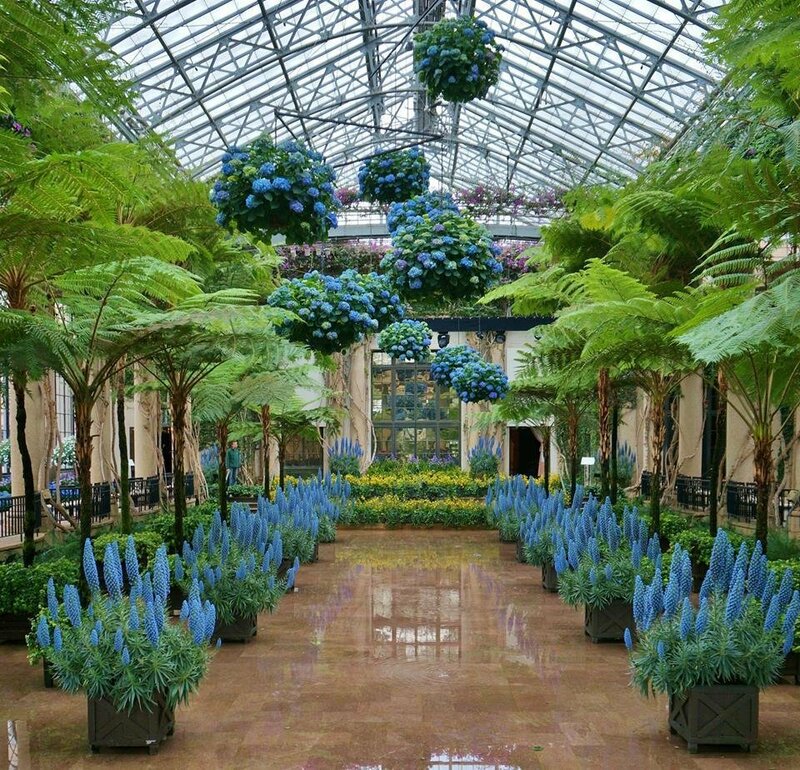 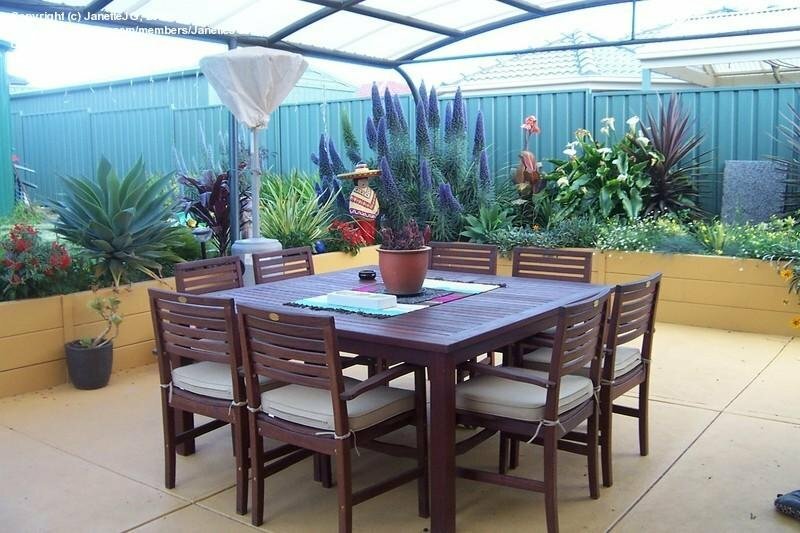 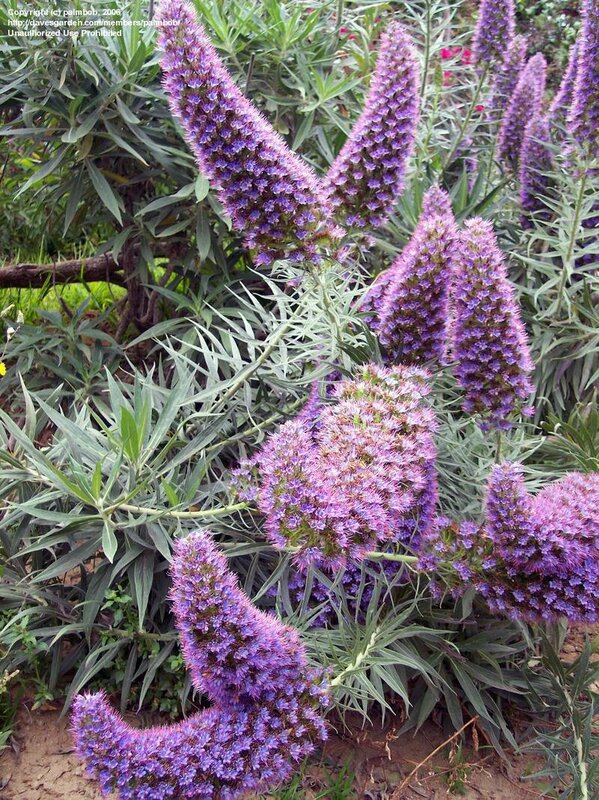 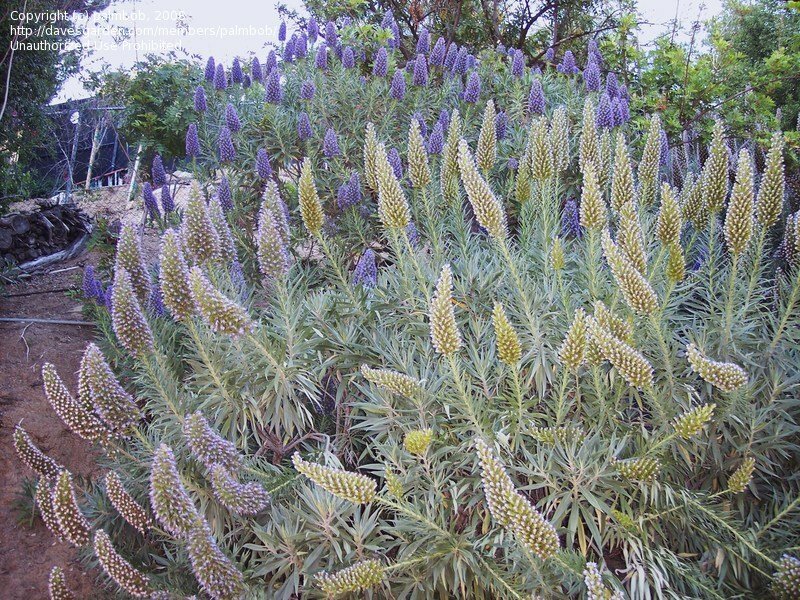 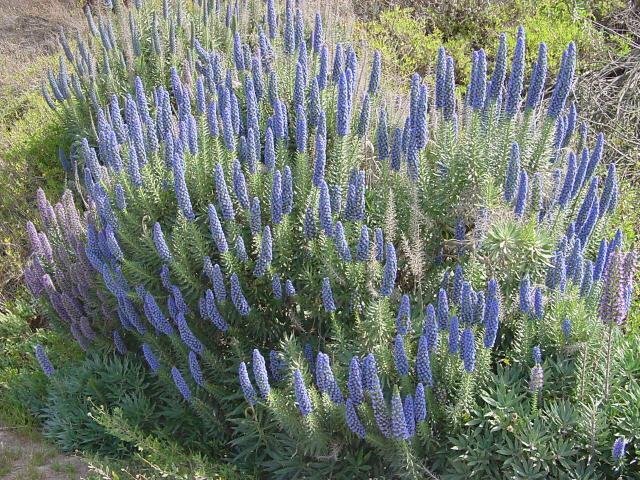 With a robust planting of Psoralea pinnata. 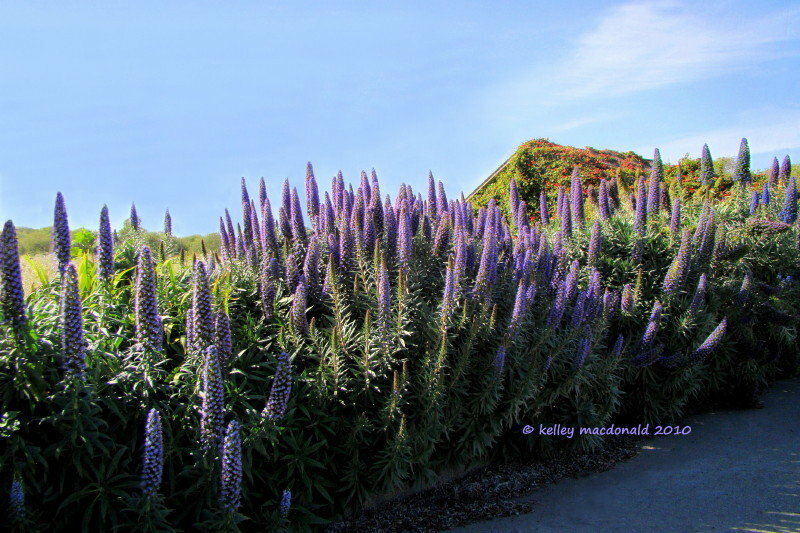 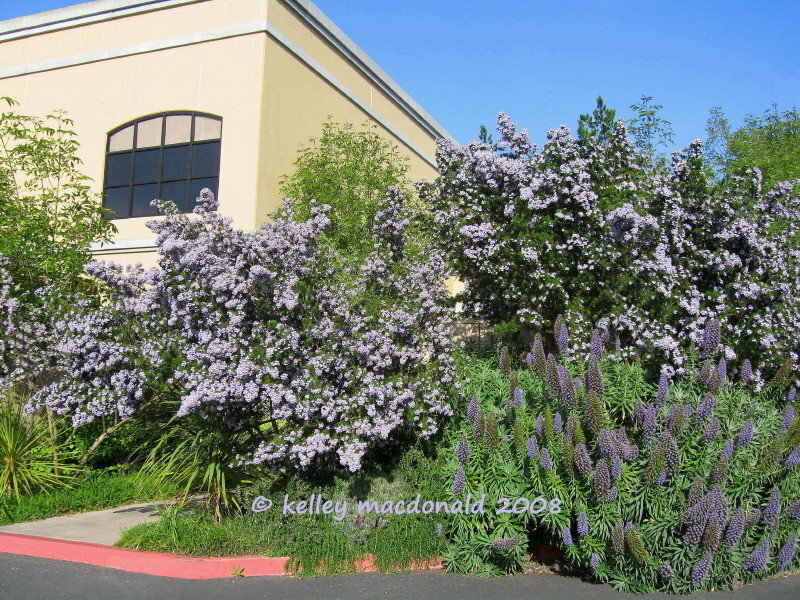 In Half Moon Bay, California.